The Greenfield 4th of July Parade and Celebration Committee is announcing former University of Wisconsin and Green Bay Packers football star Mark Tauscher as the honorary parade grand marshal. 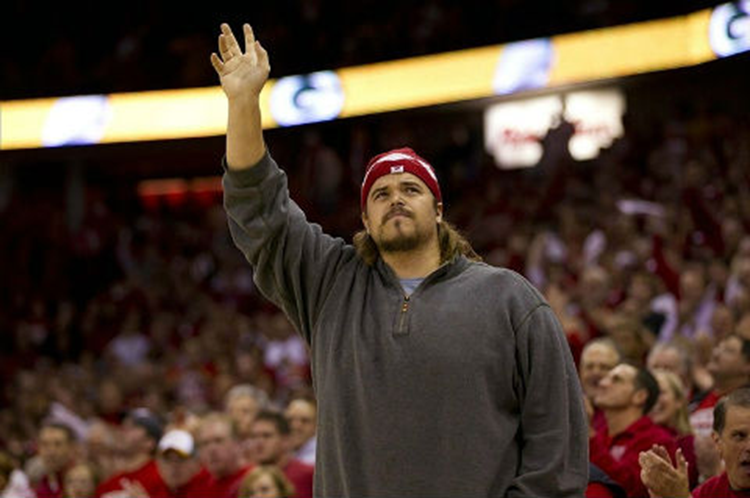 Tauscher will also be assisting with flag-raising ceremonies, enjoying the 5th Quarter performance featuring his alma mater University of Wisconsin band and appear as a special contestant in Greenfield Park & Rec's special event, "Are you smarter than a 5th grader." Tauscher's was a star offensive tackle for the University of Wisconsin, with his best years coming in 1998 and 1999. He contributed significantly to Ron Dayne's Heisman Trophy-winning season in 1999. Tauscher was drafted by the Green Bay Packers in the seventh round (224th pick overall) of the 2000 NFL draft. His illustrious career with the Packers spanned a decade from 2000 to 2010. Career highlights include Superbowl Champion (XLV), Packers Walter Payton Man of the Year (2008) and Packers Ed Block Courage Award (2008). Tauscher was born in Marshfield, Wis. on June 17, 1977. "Tausch" is a life-long Wisconsinite and continues to be a huge fan of Badgers and Packers football. As honorary parade marshal, Tauscher will proudly wave to fans knowing that Greenfield will be the only parade in Wisconsin to feature the University of Wisconsin Marching Band "and" Bucky Badger. The Independence Day activities in Greenfield are hosted by the Partners of Greenfield Park and Recreation. Partners of Greenfield Park and Recreation are a nonprofit community support group run in conjunction with the Department of Parks and Recreation. Partners of Greenfield Park and Recreation assist the Department of Parks and Recreation in the beautification of green space, purchasing park amenities, and development of park site activity areas for the benefit of the Greenfield community. Partners of Greenfield Park and Recreation are a great avenue for individuals and organizations to make a positive difference in the promotion of public recreation in the city of Greenfield. The Greenfield 4th of July Parade (12:15pm start) and Celebration will run from 11am to 11pm on Wednesday, July 4th. The parade and celebration are free of charge.